Join resident Therapist & Coach Kate Hogan in this interactive workshop that will teach you how to handle stress better. Kate has a vast array of tools that focus on the physical, mental and emotional manifestations of stress. 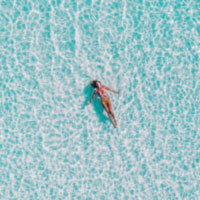 The workshop includes discussion, practical and powerful stress busting tools to take away and a wonderfully relaxing stress-release hypnosis session so you’ll float out at the end. Kate spent over a decade working in the fast paced world of Recruitment and is well aware of the stresses and strains of work and life and trying to find a balance. She retrained as an Integrative Therapist combining Hypnotherapy, NLP, CBT, Psychotherapy and Counselling skills and uses these together with real life experience to help her clients overcome their difficulties. Kate’s approach is supportive, down to earth, fun and creative. Her philosophy is that none of us are ‘broken’ and need ‘fixing’- sometimes we simply get stuck and lack the tools required to overcome obstacles standing in the way of living life to the full. Kate can help you find these tools within and develop new responses to deal with life in a much more effective way.